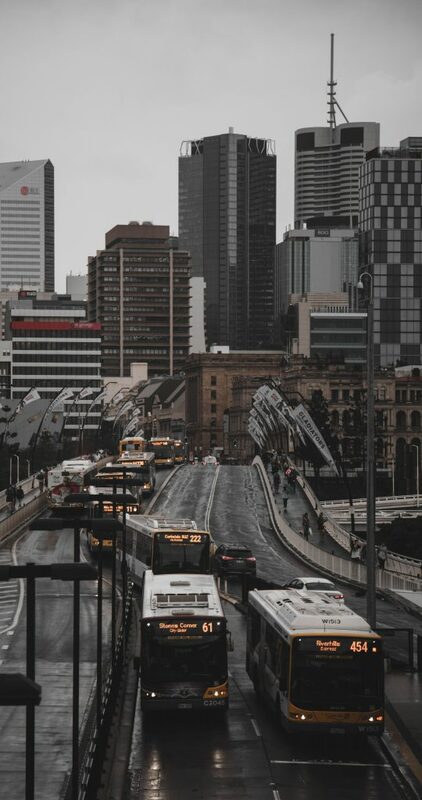 Brisbane is possibly the most underrated and under-appreciated city in Australia. 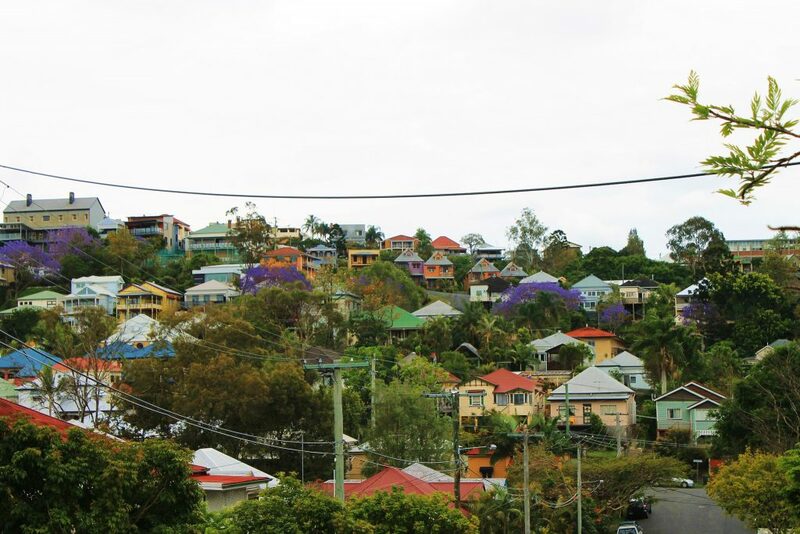 Brisbane offers it all: culture, great taste, and an enviably balanced lifestyle. Step into the indie cafes to try the best coffee you’ll ever taste, witness culture and liveliness on every street corner, and experience breathtaking views of this concrete jungle from every angle. You can never spend enough time in Brisbane. 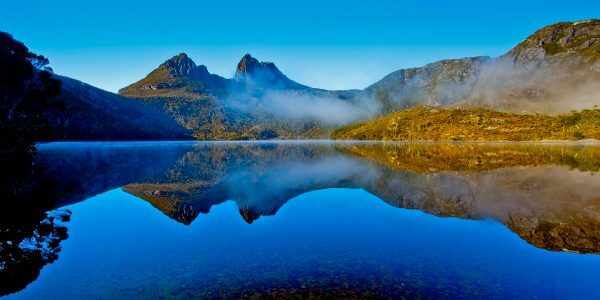 Australia is awesome year round. Each season has its own perks. In spring the violet jacaranda trees spring to life and frame the city in sweet purple. Summer brings a lot of heat, but also a lot of wonderfully fragrant blooms like the effortlessly pretty frangipani. Even Autumn and Winter are perfect in their own way, the weather more temperate but the air still sweet. Riding a bicycle in the city is easy on the flatter and picturesque areas around the river. Be mindful that there are other areas that are steeper. 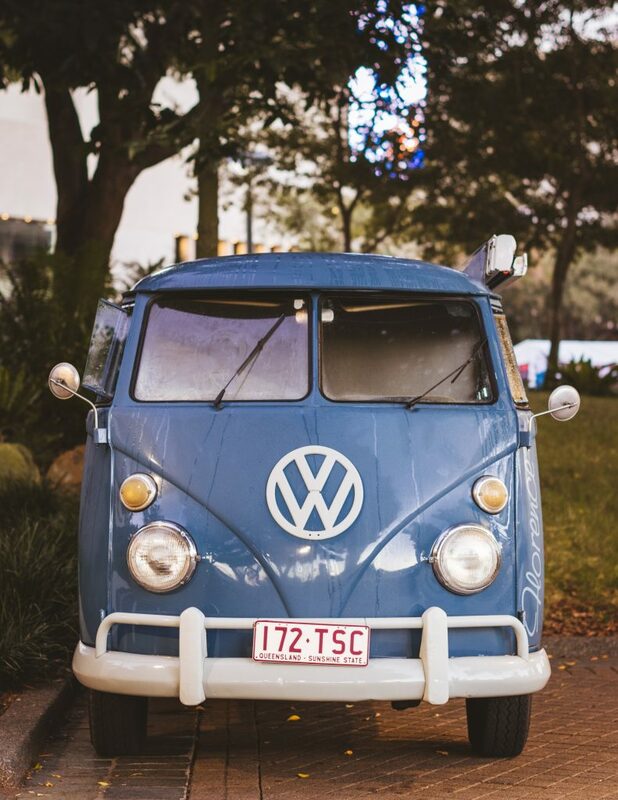 Renting a car in Brisbane is always a great idea. There are many cool places to see right outside the city. 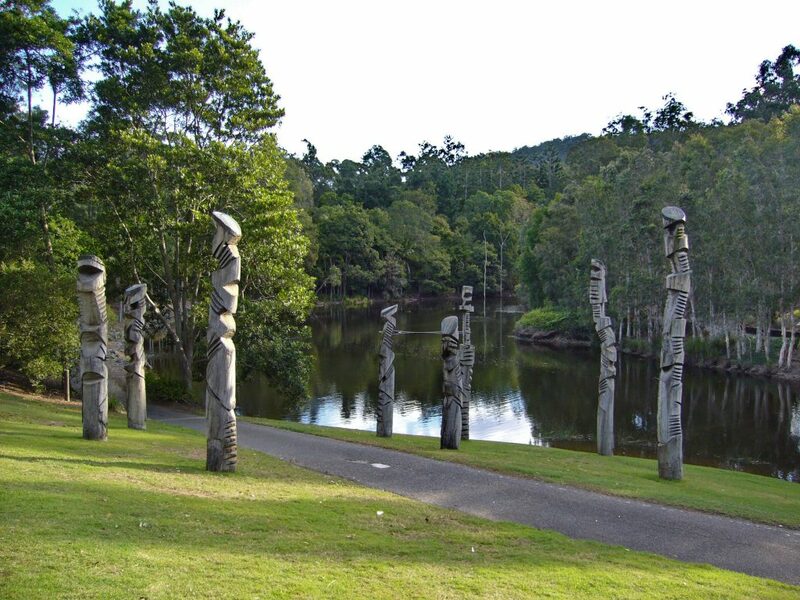 Mount Coot-Tha is 10 minutes away from the CBD! Also, you can always find plenty of parking spots around Kangaroo Point and under the Story Bridge where you can easily access the free ferry. The bus and train network in Brisbane is not the most convenient. This is a pretty large city and moving to its outskirts through public transit can be time-consuming. You don’t need to worry if you are moving across the inner city since it is pretty well connected. 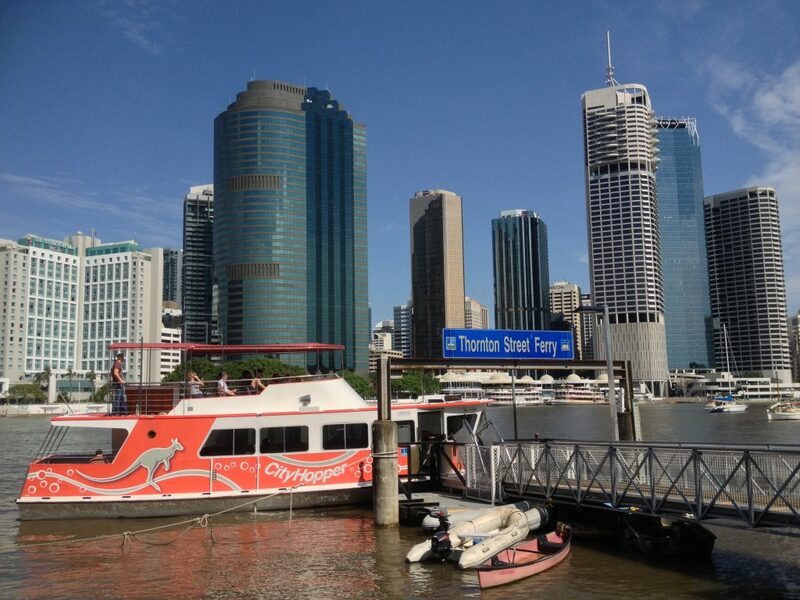 One of the best things about traveling in Brisbane is the ferry. Hop on, go for a ride and feel the wind on your hair. The cute little boat is called the Otter and it’s absolutely free! It travels up and down the river on a constant loop from the North Quay to the opposite end of the river at Sydney Street. It’s a super easy and cheap way to get around the main sites of the inner city, or even as a day out if you are feeling like cruising on the river. The City Hopper departs every half hour from North Quay and Sidney Street. 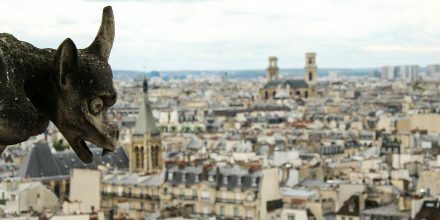 The city has many vantage points from which to enjoy its spectacular views. From certain angles, the city looks so packed with buildings that it is difficult to get a nice picture of it. But as soon as you find the right spot, at the right moment, you will become a spectator to a dazzling urban landscape. Only a short drive away from the city, this mid-sized mountainous tableland in Brisbane will give you the best panoramic view of the city. If you don’t have a car you can always hike up the mountain for an hour to get to this wonderful destination. 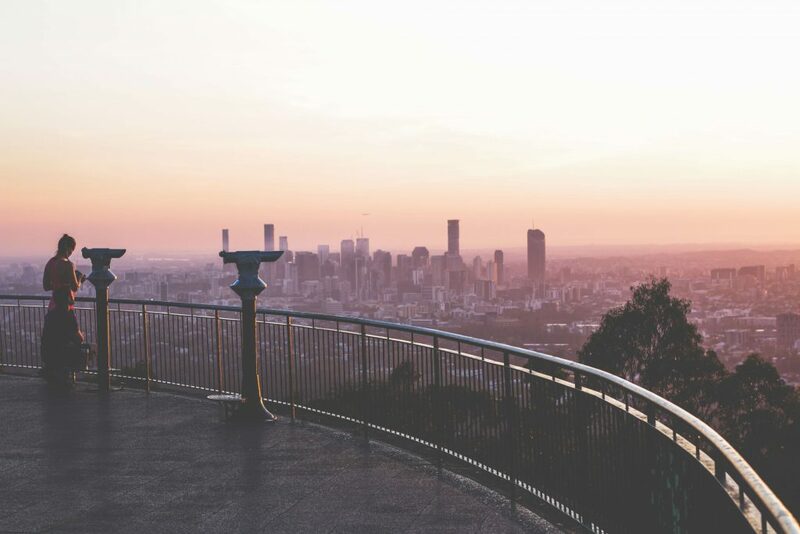 The best time to be at Mt Coot-Tha is at sunrise, when the sun creates a sublime silhouette behind the city skyline. In rainy seasons you can also see some great waterfalls. The Planetarium and the Botanical Garden are two major attractions that you don’t want to miss when visiting Mt Coot-Tha. Located on the South East edge of the city, Wilson’s outlook reserve has an arresting view of the Story Bridge and the North side of the city. 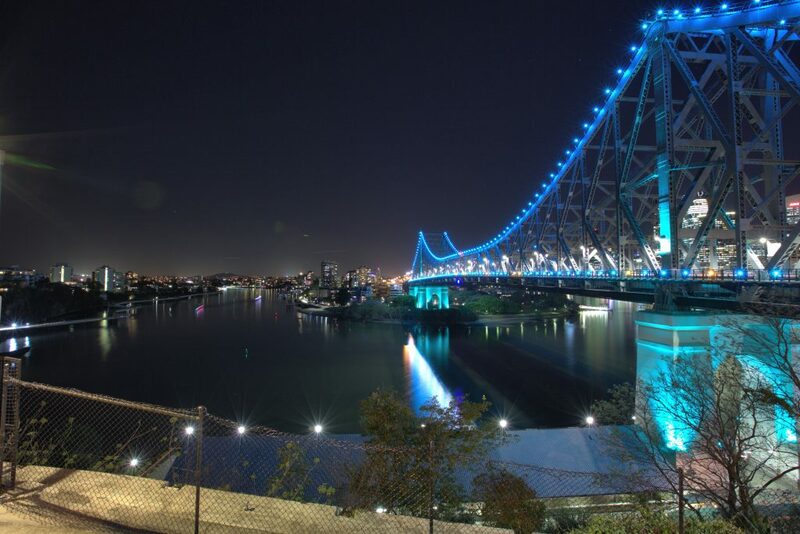 Right above the river, you can rest at a park and get an unrestricted view of the Story Bridge. Upon dusk, this place becomes magical as the bridge lights up in whatever color is picked for the day (additionally, The Story Bridge lights have their own schedule depending on special events and memorial days). Once the bridge is lit, you may see people climbing it! 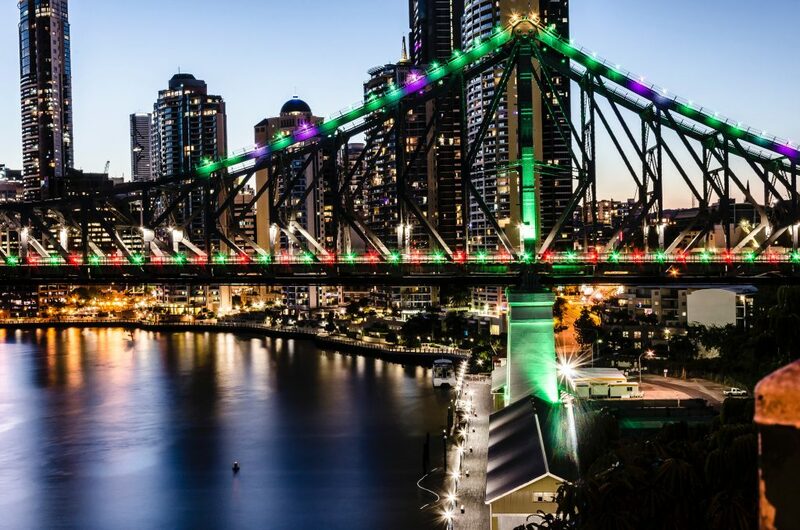 A stunning way to enjoy the best of Brisbane’s adrenaline inducing activities is the bridge climbing tour. You can book a bridge climbing tour HERE. 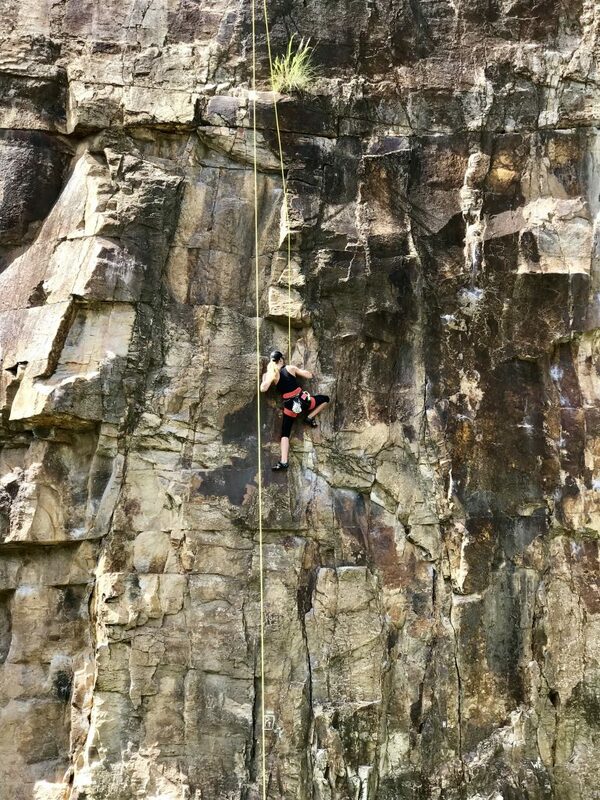 Popularly known by the locals as KP, this inner city cliff is the city’s beloved outdoor climbing gym. Possibly the most versatile spot and one of the prettiest, tourists and locals alike enjoy climbing up the colourful cliff face. 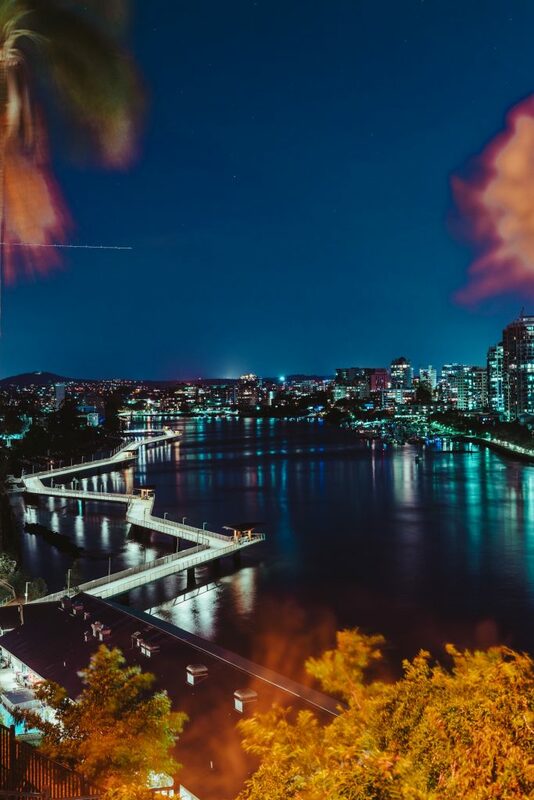 Head down to the riverside and see the city evolve as you make your way along the bank in front of the Kangaroo Point cliffs. The reserve has many hot spots that are great for picnics, parties, or sunbathing. On event days, the benches, grassy mounds and rocky peninsulas are crowded with revellers enjoying the weather and the vibes of the city. Book a fun climbing experience HERE. Although the locals tend to avoid this crowded spot in the summer, this place is filled with excitement. The park’s giant Ferris wheel and man-made beach are always packed with jolly children, people enjoying ice cream and wandering in and out of The Arbour’s alluring flower tunnel. 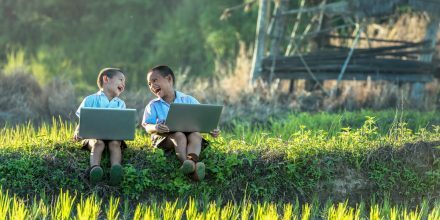 Along this area you will also find the Epicurious Garden, Brisbane’s own organic growing centre; a relaxing place to sit, enjoy the river views, and inspire children to grow their own herbs and vegetables. Volunteers hold talks every weekend and everyone is welcome. Hop into the ferry if you are trying to get to or leave this popular spot. 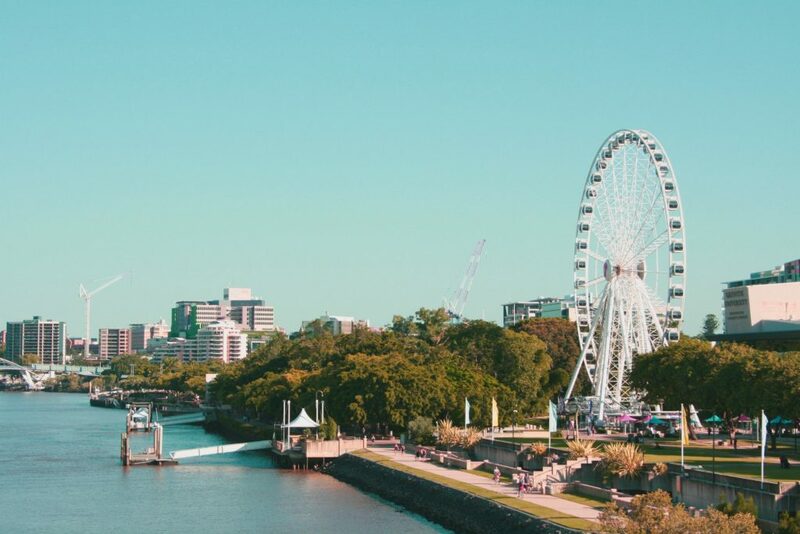 With multiple stops along the South Bank, the ferry can always pick you up or drop off either at the GOMA gallery, at the base of Kangaroo Point, or at the Story Bridge. 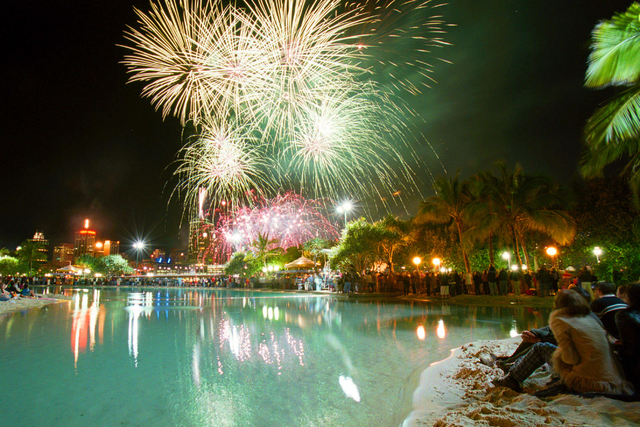 When Christmas comes around, Brisbane’s South Bank puts all its heart and effort into it. The pathway by the river gets decorated with lights, candy canes and Christmas cheer. 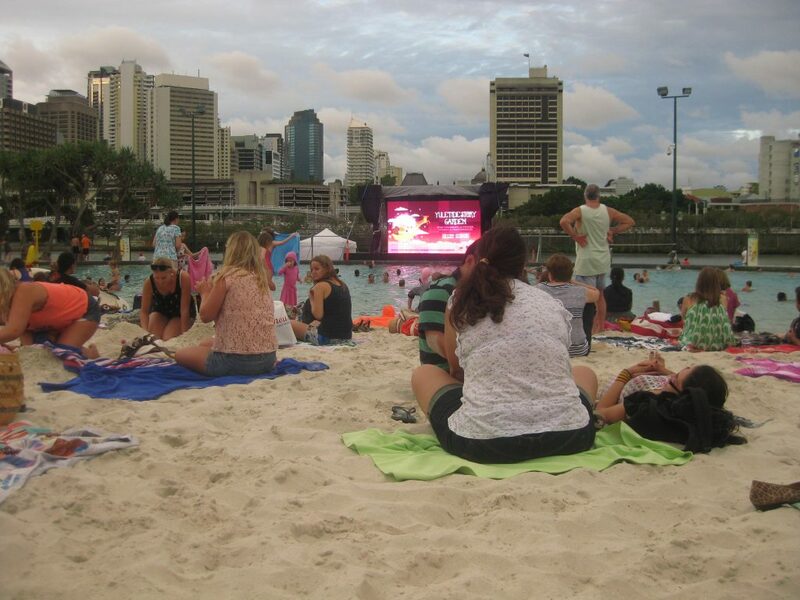 During the week leading up to Christmas, a huge outdoor cinema is installed over Streets Beach – allowing you to sit on the hot sand, or cool off in the water, while enjoying your favorite Christmas movie. Australia has always done Christmas wrong, but we’re not judging. Nothing says Christmas like sitting on the hot sand watching Elf, right? In the summertime, the city flows slowly as everyone tries to combat the Queensland heat. Although it’s too hot to do anything particularly strenuous, the plethora of ice cream and ice tea will definitely cool you down. Hot or rainy days are always a good excuse to spend a day wandering around the GOMA. 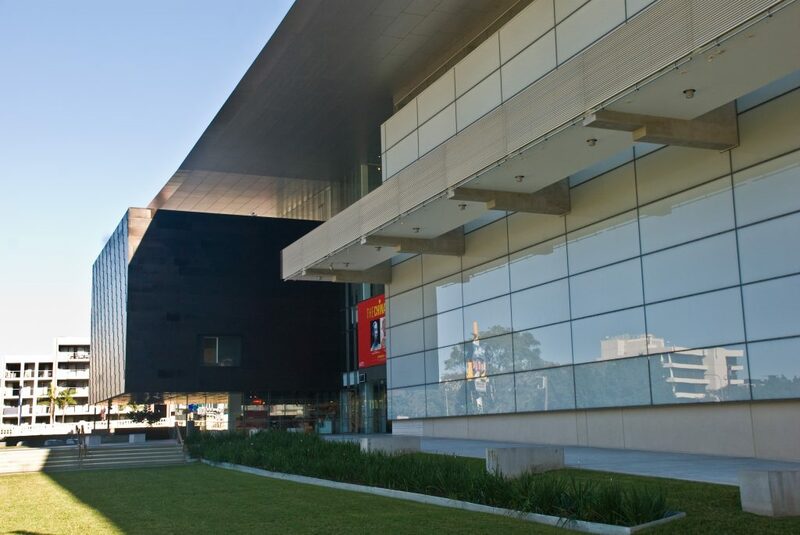 With a fascinating collection of historical, modern, and contemporary art, the GOMA is a place that you shouldn’t miss. Some exhibits are seasonal, so there’s always something new to catch. It is also worthwhile to check out the old permanent exhibitions. Like the giant red hole on the second floor? The doughnut? An oversized cheerio? or is it something more sinister? You’re welcome to decide. Find out what’s on HERE. 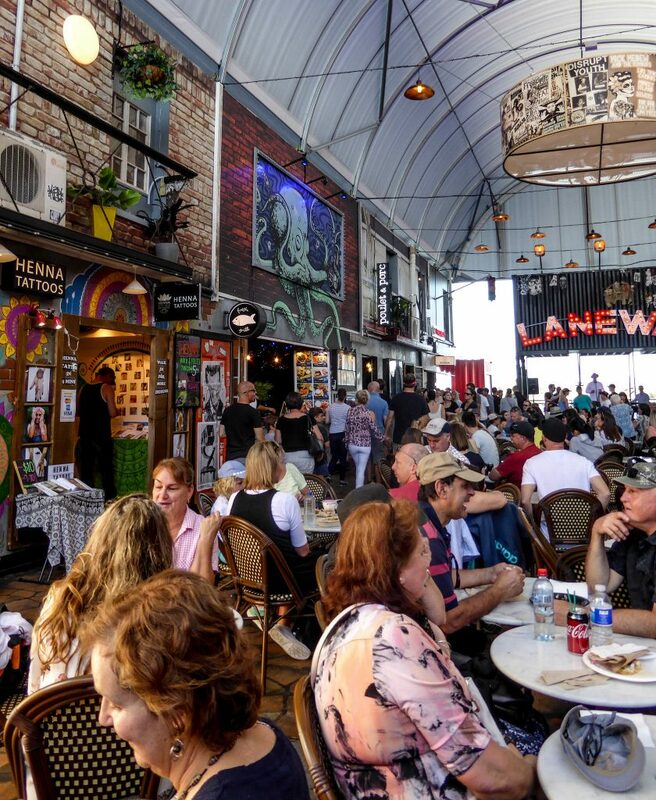 With entire laneways dedicated to popular cultural practices, Melbourne is the main hotspot. Brisbane is also incredibly prominent in the street art game if you know where to look. Amazing pieces pop up in all sorts of unexpected haunts, just turn a corner and be surprised with a masterpiece. You could be walking to your favorite coffee shop and discover a new conversation piece, or perusing the local garden centre and find the most exquisite representation of Bowie you’ve ever seen. If you’re a street art enthusiast there’s a handy map you can follow to experience Brisbane’s art trail. 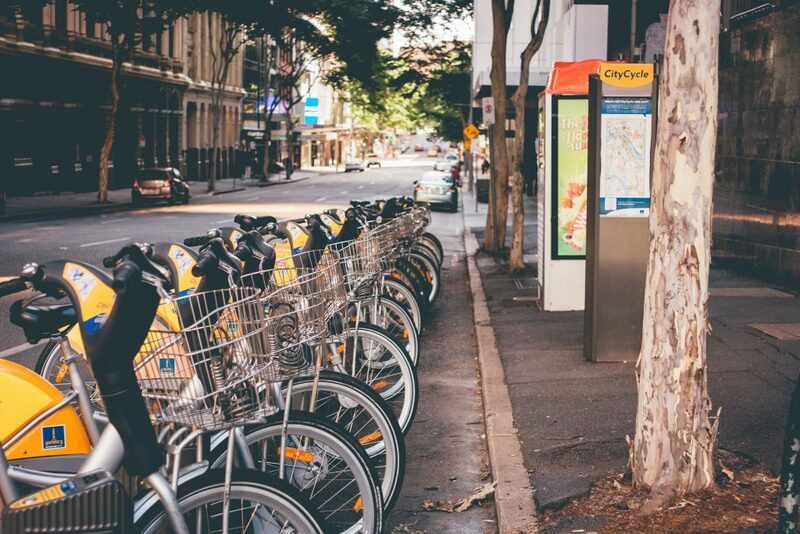 With a free afternoon and a bike at your disposal, you can easily spend a few hours wandering gracefully around the best spots. 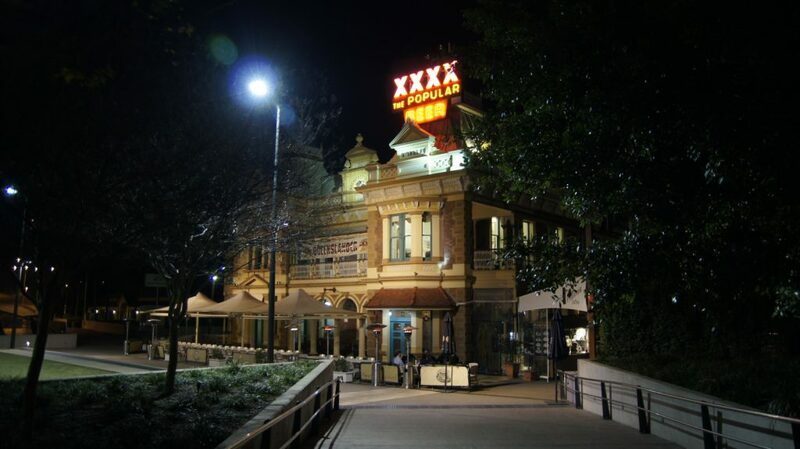 Certain areas are more saturated with people, such as West End and Fortitude Valley. Melbourne’s famous street artist Rone has a couple of his transcendent portraits of women dotted around the city. 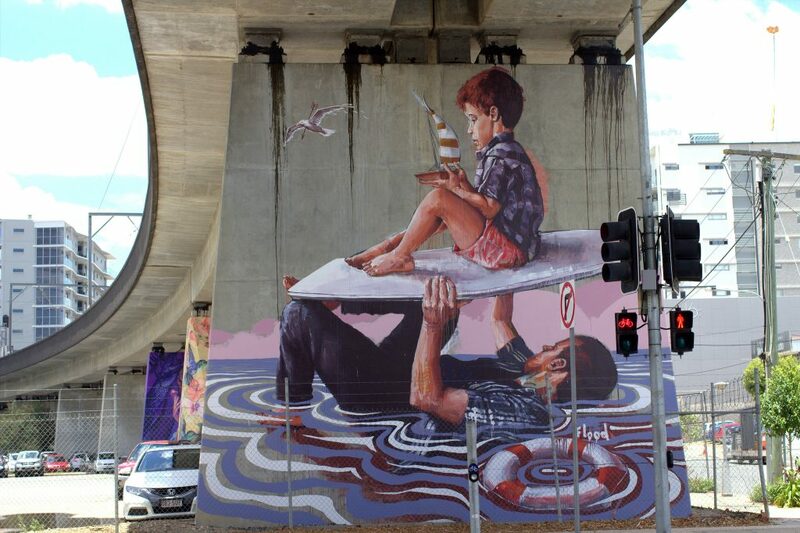 There are also a number of beautiful creations by Australian street art superstar Fintan Magee. Both create enormous pieces of art that inspire awe in anyone. A few years ago, Japan started its craze of animal cafes. 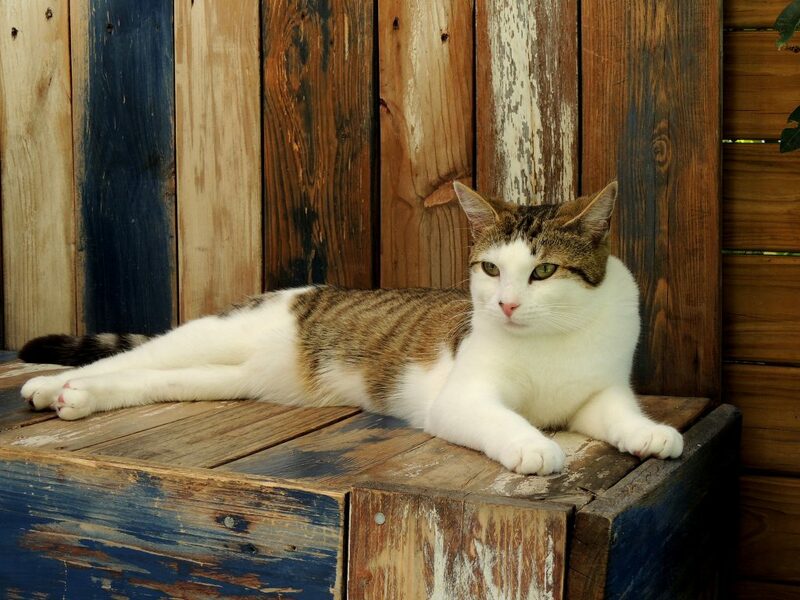 Brisbane has its very own, it’s called Cat Cuddle Cafe and is a hub of playful happiness with cute cats. Converted into a cafe, this sweet little house in Red Hill is run by volunteers and every one of the adorable fur balls is also up for adoption. If you’re a vintage lover, Paddington is the place to be. The entirety of this hilly little suburb on the North West side is packed with vintage, antique, and op shops bursting with authentic goods and unique treasures. Brisbane ships its vintage wares from all over the world and the op shops are super cheap, so there’s always a bargain to be found. 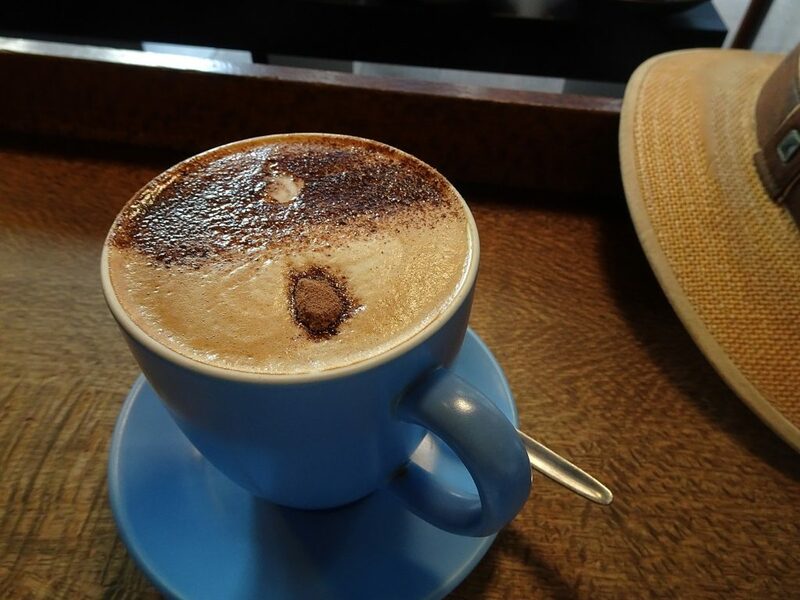 If there’s one thing Australia does right, it’s coffee. There are too many spots to mention so you should always have great coffee. A lot of places do their own grinding and brewing. The only advice is to stay out of the franchises and shop local, you can’t go wrong. The West End quarter of the city is a buzzing hub of delicious smells, trendy art corners and street life. Some of the best restaurants in the city are here so you’re always sure to find a treat. This is also a fabulous place to walk or cycle around at night. 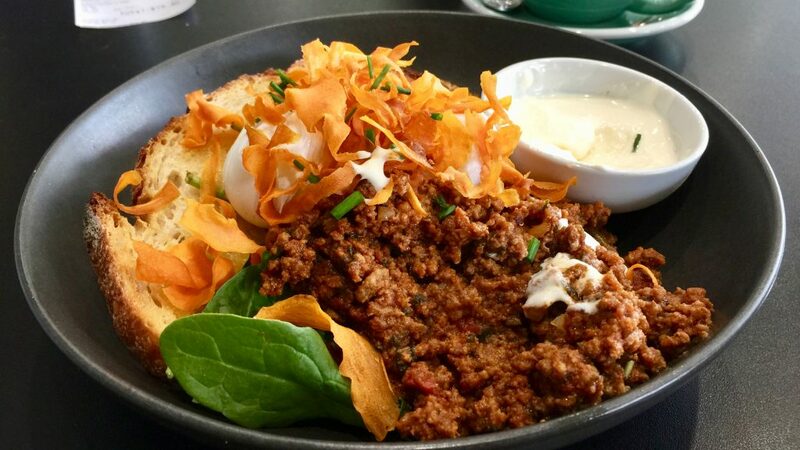 Australians are real foodies, and their selection of food choices from around the world is astounding. 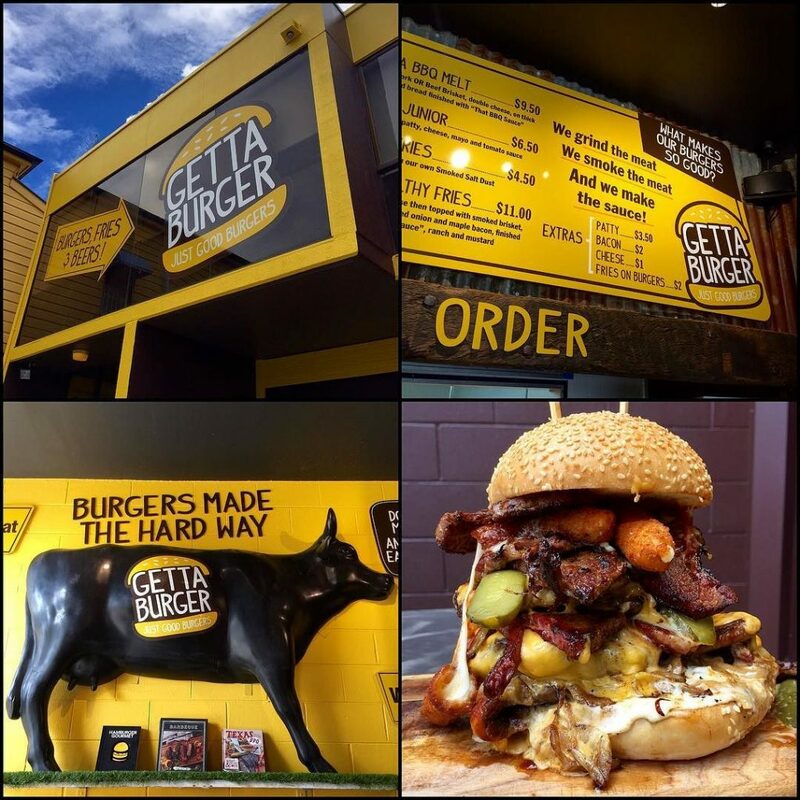 For the meat lovers out there, it doesn’t get better than Getta Burger. There are three locations in the city but the best one is at West End. The menu is extensive and the burgers are massive! The beef brisket is to die for, and don’t forget to order the loaded fries. If you’re feeling like a meaty feast but don’t want to leave the comfort of your room, Uber Eats will deliver from almost every restaurant in the city including Getta Burger! Miel Container in Queen Street Mall is another contender for Brisbane’s best burger. With a Korean twist, the burgers have truly unique flavours, and the restaurant built inside a tiny shipping container is super cute. 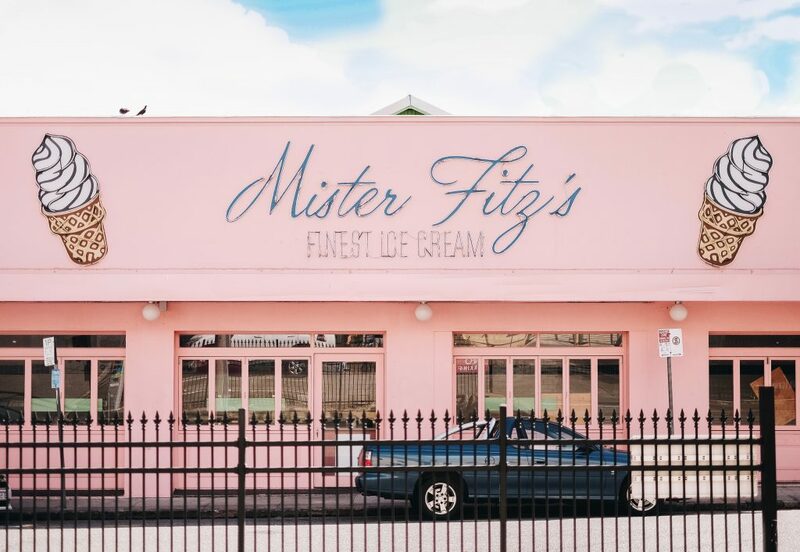 If it’s ice-cream and cookies you’re craving, go and have a word with Mr Fitz. You’ll be leaving full of unicorn sprinkles and pure joy. Choose two of your favourite cookies, add an enormous scoop of delicious ice cream and top it with one or two offerings of sprinkles, or the whole selection, Yolo! Grab a loyalty card and your 10th serving is free! The two main Mr Fitz’s are located in South Bank behind the public pool and in the Valley. 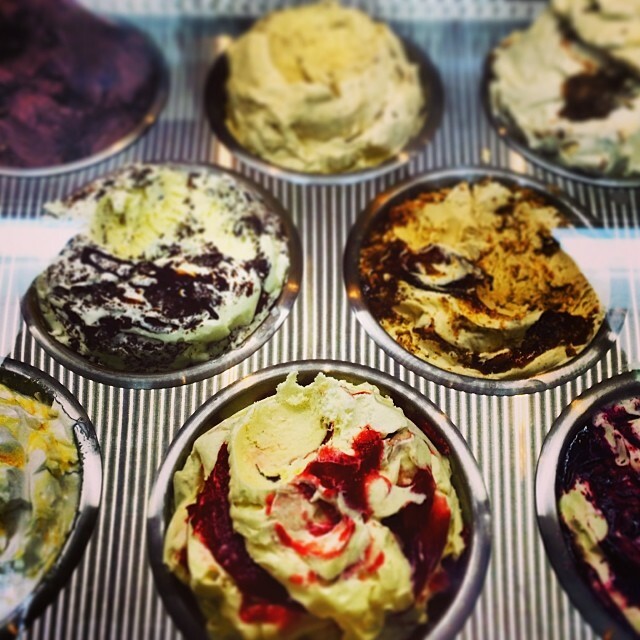 With over 30 selections of exquisite gelato that change regularly depending on the season and current trends, Messina is another amazing sweet treat. Some flavours have unusual names, so make sure and you try as many flavours as you like before deciding what to get. There is nowhere in the world like Eat Street. 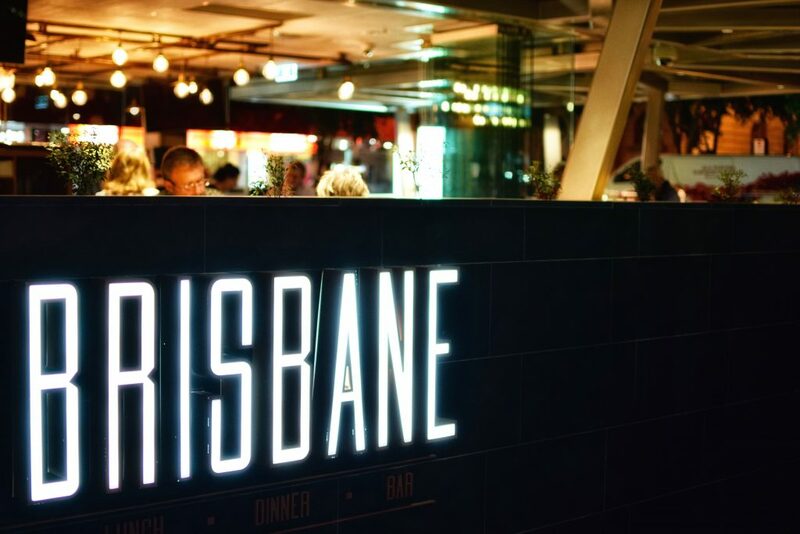 Every weekend Brisbane’s biggest and best social food scene pops up by the river at Northshore. Eat Street brings together culinary delights from around the world. Styled inside a bunch of carefully curated shopping containers, creating a dining scene from a dream, the area becomes a food park with over 180 food stalls, cinema experiences, bean bag areas and lookouts over the river. Try the deep fried halloumi fries, and don’t miss the indulgent dessert hub with cronuts and Nutella creations galore. Not so much of a secret once you know where it is. From the street, this lush little bar appears to be a curiously lively vintage shop. Once you are inside, you can go behind a door that will take you to a plush little bar. Offering a great selection of craft beers and cocktails, Can You Keep A Secret is a unique blend of a vintage shop and a cosy lounge room. Purchase a vintage piece for yourself before relaxing back on an old chesterfield and enjoying a cocktail with friends. 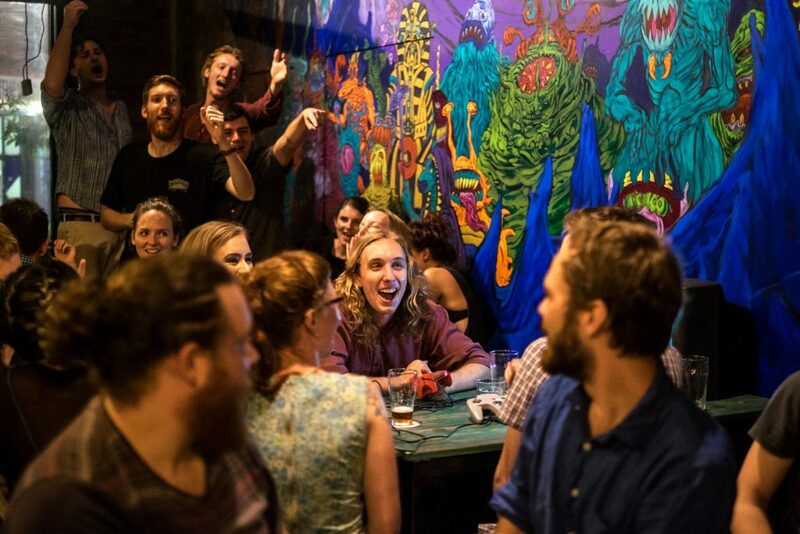 Netherworld was the first lovingly dubbed ‘board-game bar’ to pop up in Brisbane in the popular party district of The Valley. A spunky bar stacked with vintage board games, pinball machines and no pay Nintendo. On weekends it gets pretty busy, so keep your eyes peeled for your favourite game. Netherworld also has a pretty delicious selection of snacks catered for every diet. In the daytime, the bar turns into a cosy cafe where people do work in their computers or hang out with their friends. If you’re visiting in the spring, people and street signs do not exaggerate when they tell you to beware of the dreaded magpie. These birds are known to be aggressive and if you get in their way you could really get hurt. In nesting season they take no prisoners, so be cautious whilst walking, riding bikes, and hanging out on the street. 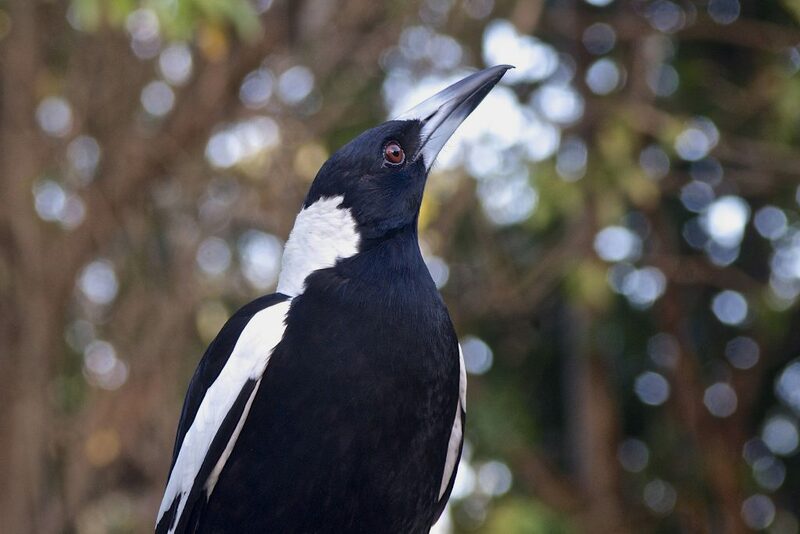 Another thing to look out for in Brisbane is the jogger. This elusive beast pops up everywhere, along the river, in the streets around Queen street mall, through the botanical garden. Joggers are people in activewear who will make you feel bad if you are not jogging to every destination. 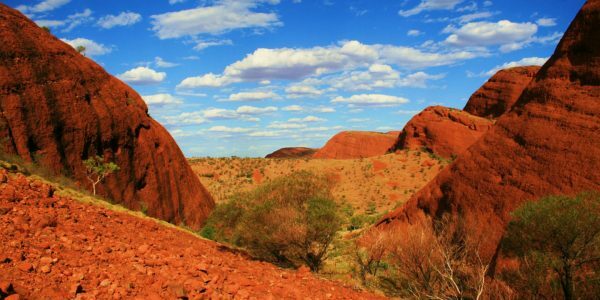 This article is a contribution from one of our amazing travel writers Becky Coe on her experiences traveling Australia. For more by Becky Coe check out her photos at https://becky-alice-coe.format.com/.